Research & Development centre is set up to provide specialized administrative and managerial support for the operation of sponsored research, consultancy and other R&D related activities of the Institute. 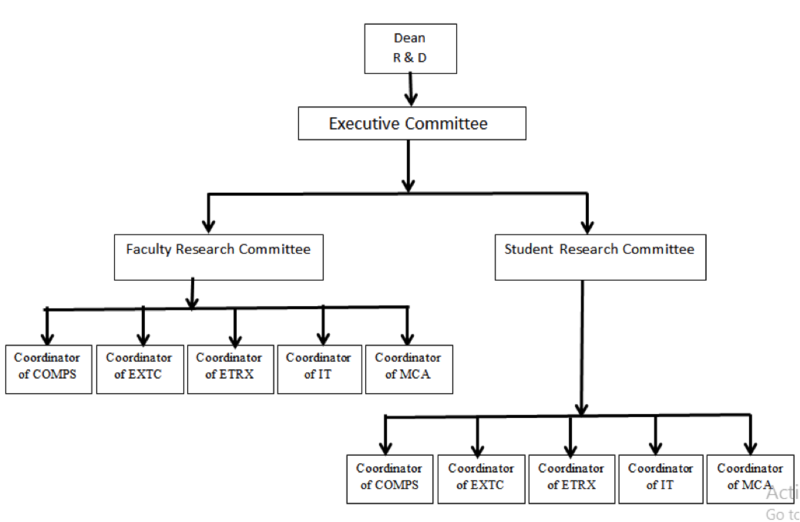 The overall R&D structure encompasses in executive committee, faculty research committee and student research committee. Dean R&D proposes three committees for R&D activities the constitution is as follows. This committee provides impetus to the research and development activities and to provide guidance, directions to the faculty research committee. It has representation from all departments. The committee is a vibrant entity to discuss and propose R&D policy issues. The members highlight shortcomings in procedural matters and thus sharpen the performance of the Centre. Identify promising areas for growth. Maintain vibrancy of areas that are currently strong. Develop and maintain close ties with industry and government to promote technical exchange and collaboration on projects with significant potential for future growth and value. Develop a sense of community in which faculty, staff, and students can work together productively and grow personally and professionally. Provides Review for proposals and appoint review committee and scrutiny committee. Faculty Research committee selected by R&D Dean which represents R&D coordinator from every department, it specifically work for faculty of Institute and motivate the faculty of the Institute in achieving the objectives of R&D. Promote faculty to write effective research proposals for funding agencies. Student Research committee selected by R&D Dean which represents R&D coordinator from every department, it specifically work for students of Institute. To acquaint the students about the booming technological innovations and the future prospects of their survival in the industry. Unfolding and paving way to the talents hidden among the students.